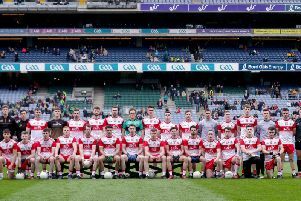 Beaten All-Ireland Football finalists Tyrone have been drawn against Derry in next year’s Ulster SFC preliminary round. Antrim will face the winners of the Ulster preliminary-round tie with the victors in that game taking on either Fermanagh or Donegal. Fermanagh will have home advantage for the repeat of this year’s Ulster Final. Further quarter-final derbies see Cavan hosting 2018 All-Ireland semi-finalists Monaghan and Down at home to Armagh. Preliminary round: Tyrone v Derry. First round Cavan v Monaghan, Down v Armagh, Fermanagh v Donegal and Antrim v Tyrone or Derry. Semi-finals: Cavan or Monaghan v Down or Armagh and Fermanagh or Donegal v Antrim/Tyrone/Derry.